Dr. Donna McCormack, of the School of Literature and Languages, University of Surrey, tells of a weekend of monstrous activities in Copenhagen, funded by OPSTART, the Nordic Culture Fund. The Monster Network organised an artistic performance and panel discussion which included the visual artist Trine Mee Sook and the director of the Finnish Society of Bioart and visual artist Erich Berger, as well as Ingvil Hellstrand (University of Stavanger), Line Henriksen (University of Copenhagen), Aino-Kaisa Koistinen (University of Jyväskylä) and Donna McCormack (University of Surrey). 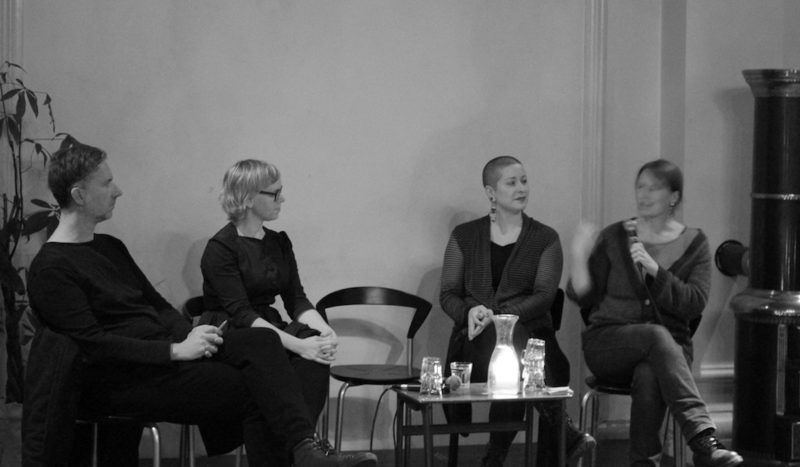 On a cold, rainy Saturday evening in Copenhagen, the Monster Network gathered to hold an event that aimed to discuss the meaning of blood, belonging and otherness in the Nordic context. Amidst increasing tension about who has the right to belong in the Nordic context, where belonging is often defined through ideas of blood and whiteness, the Monster Network wanted to intervene and open up a dialogue on how strangeness comes into being and comes to be defined. It was an intervention designed to challenge exclusionary discourses and practices in order to explore how we may make space for difference, live with difference, and remember those histories often whitewashed or simply silenced in the Nordic context. The event was held at the Literature House (LitteraturHaus) in Copenhagen: an old, eerie church now used for events that aim to reach beyond academia and engage with diverse publics. The chandelier flickered, the candles were lit, and the alter was set as the stage for the event that evening. 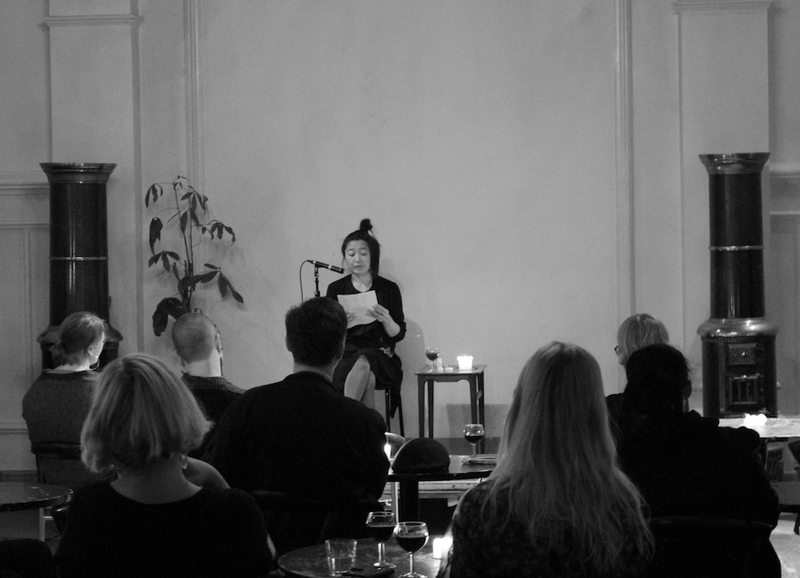 The visual artist Trine Mee Sook began by putting her fangs in and then drew the audience in with her performance of one section from her trilogy which explores the personal in the context of otherness, strangeness and the politics of race, while engaging the audience in blood narratives of vampires, transnational families and colonial histories. Mee Sook wove together the histories of colonisation in Korea with practices of transnational adoption in Europe and the US, always connecting these to the politics and consequences of war. Mee Sook evoked the racism of contemporary life in Scandinavia, showing how belonging comes to be defined and felt on the body, while also reminding us how language and the body can simultaneously be the means through which such exclusions may be challenged and rethought. The chair of the event, Hellstrand, moved the evening on to a panel discussion where Koistinen reminded us that on that same day in Tampere, Finland, the Nordic Resistance Movement, a right-wing nationalist group, was marching through the city to express its discontent with difference and immigration. She brought to the fore the struggles of that day as some of the anti-racist protesters were arrested by the police, kept under control and out of the way of those insisting that they were marching for the right to free speech. This set the context for the discussion, where McCormack spoke of the history of eugenics in the Nordic context to address how we might situate these debates in a longer history which recalls the science of eugenics and its exclusionary practices and narratives central to the foundation of the social welfare state. As the discussions went on, the night moved to a presentation by the director of the Finnish Society of Bioart and visual artist, Berger, who sought to place the debates in a different history, one of the planet itself. Berger addressed Onkalo, where the Finnish government will bury nuclear waste in an underground tunnel spreading across time and space. Berger’s narrative brought together issues of waste, what matters and how the planet and its humans may survive, including through the use of non-animal based meat and luminous cats designed to deter humans from radioactive areas. This presentation led to a discussion of the future and the meaning of the human, where Henriksen reminded us that the future is now, that what we are creating in this moment is already someone else’s future. Hellstrand further questioned whether the turn to the anthropocene, in thinking planetary time and space, may ignore the very consequences of not belonging to the category of the human, where not belonging to this category can result in one’s death, one’s disposability. The discussions lasted until the clock struck midnight and then the church was closed. The Monster Network continued its work throughout the weekend, finalising a short piece for the Fafnir Journal (the Nordic Journal of Science Fiction and Fantasy Research), and starting an introduction for a special issue of Somatechnics on the Promises of Monsters (due out in September 2018). The one thing we can promise is that Strange Blood? was the beginning of the discussion and that we will be continuing collaborating with these artists throughout the following years and ensuring ongoing work in questioning and interrogating the rise in nationalism and racism across Europe and beyond. First published on the University of Surrey’s English Blog.